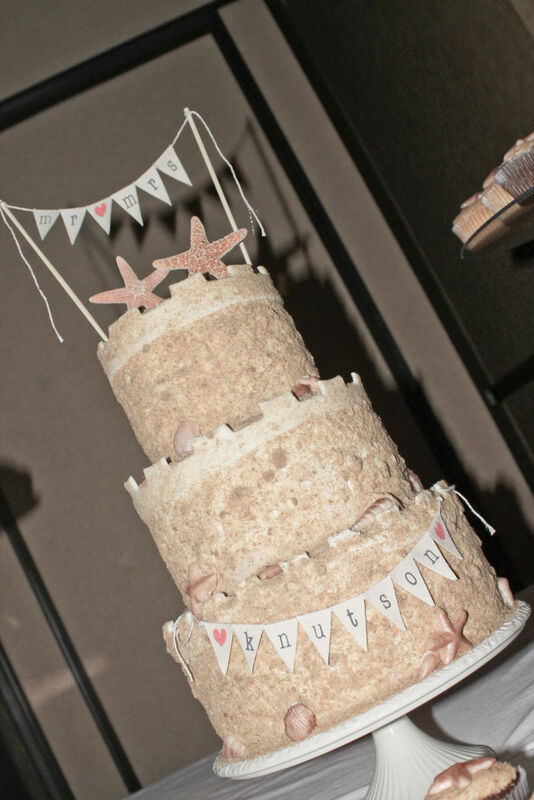 A beach themed wedding isn’t complete without a sand castle wedding cake! Add to this cupcakes with handmade edible sea shells and you have the best wedding desserts ever! !